JFD's Divex branded, powered microphone interface provides superior quality communications from divers and supports 4 channels. 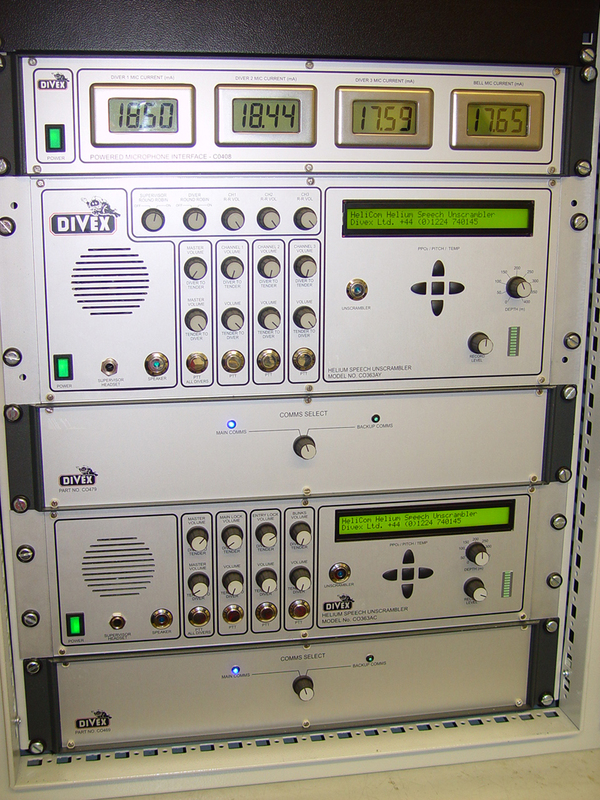 The Divex powered microphone interface supports 4 channels, typically diver 1, 2, 3 as well as the diving bell microphone. There are 4 large digital displays on the front panel which provide a current reading for each channel.